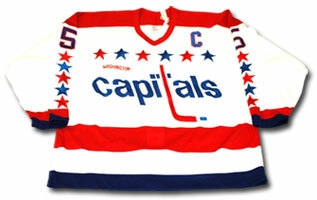 Rod Langway's Washington Capitals jersey from the 1989-90 NHL season. That season the Capitals defenceman was instrumental in leading his club to the Wales Conference Final against the Boston Bruins. during the 1981 Canada Cup. and a 1990-91 O-Pee-Chee card. 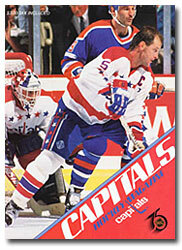 Rod Langway graces the cover of the October 4th, 1991 issue of the Capitals Hockey Magazine. 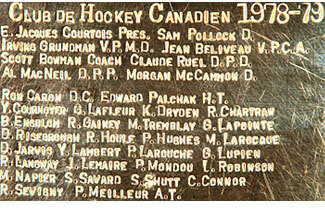 The Stanley Cup 1978-79 Montreal Canadiens inscription. 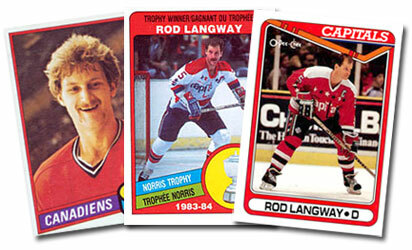 In only his second season in the NHL, Langway helped the Canadiens capture their 22nd Stanley Cup title. 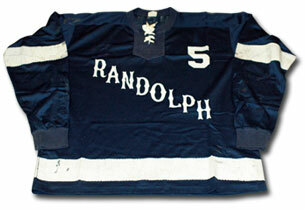 Randolph High School Blue Devils jersey worn by Rod Langway during his three seasons as a member of the club from 1972-75. 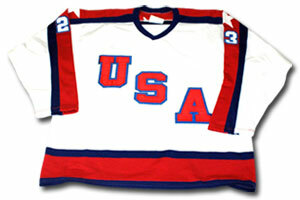 Langway was a pillar on the point for the Devils, leading his team to both the 1973 and 1975 Massachusetts State High School championships. 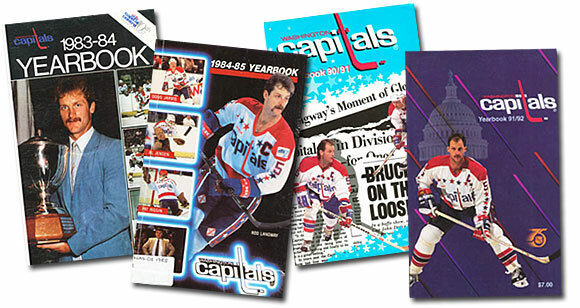 Throughout his playing career, Langway graced the cover of these four Washington Capitals media guides including the 1983-84 Yearbook which featured the Caps defenceman proudly holding the Norris Trophy as the league's top defenseman.